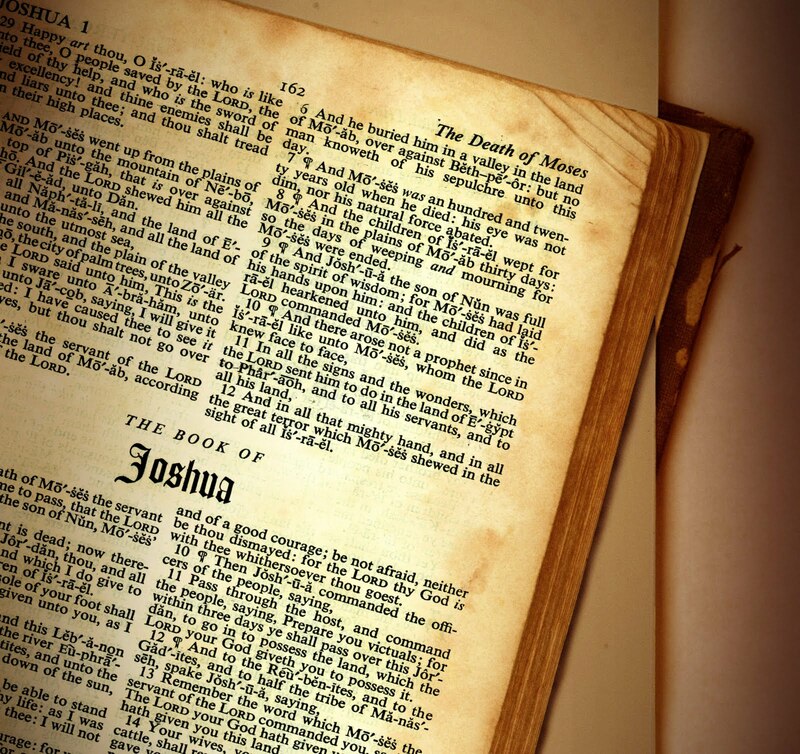 Ok so the book of Joshua and the Holy Spirit are not two things that usually go together. 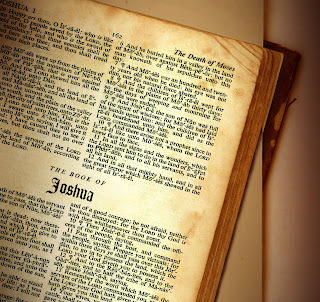 But I've been reading through Joshua a few times lately and I was really struck by something which suggests to me the difference the Holy Spirit makes to us as New Covenant, Holy Spirit empowered believers. See in the book of Joshua God's people carry out to it's full force (though not completely) God's command to destroy the other nations. They commit what looks like mass genocide. Wiping out completely from the face of the earth these other nations. Now putting aside our modern day difficulty with such a passage and such a command, the truth of the matter is that for God's people to remain holy and faithful to God they were required to wipe out the other nations so that they wouldn't be tempted to worship their idols. Fast forward to the New Testament, post the coming of the Holy Spirit on the believers at Pentecost (Acts 2) and we have God's people being told in 1 Corinthians 9:19f to be like the other nations (those not following Jesus) in order that they might win some to the cause of Christ. This seems like a radical change. In fact it is a radical change, and I was wondering how is it that God's people move from being told to separate themselves off from the other nations to being told (within reason obviously) to be like the other nations. And this is where the book of Joshua and the Holy Spirit come together in my thinking. It seems to me that the only reason why as Christians today in 2011 that we're not supposed to go round killing the infidels, is that God is now dwelling within us. That God has given us the power not to fall prey to the things that the world offers us. I take it that's why we're told we're never tempted beyond what we can get out of (1 Cor 10:13). God's Spirit is at work within us and will help us, there is hope that we will rise above the world around us now. There wasn't in the book of Joshua. God's people couldn't deal with temptation then and so they need harsh separation. So that's my thinking. Do you think we should be encouraged by these thoughts or that you should write a blog post accusing me of a Rob Bell sized heresy? I think there’s another factor in the mix here – Christians are not a nation like OT Israel. In the time of Joshua, God was forming his people into a new nation, which had to take their new land by force from the nations occupying it. This was in order that His promise to them of inheriting the land of Canaan would be fulfilled. Also, they were to be a once-off instrument of God’s judgment against the nations who currently occupied that land, who were guilty of abominable wickedness, such as child sacrifice. Further, there is an aspect of safeguarding this new nation of Israel against idolatry, by completely destroying those nations and their religious objects. Judges and the remainder of the OT demonstrate how Israel’s idolatry happened precisely because they did not follow this command. Another Corinthians passage, 2 Cor. 6, is quite helpful in describing the difference between the OT and NT roles for God’s people. Our war now is in the realm of ideas and thoughts, using divine weapons that have power to demolish strongholds, rather than worldly weapons and warfare. On the relationship between God’s people and the nations, there are plenty of passages even in Corinthians that re-emphasise the distinctiveness of God’s people from the nations, e.g. 1 Cor 5, 2 Cor. 6. The issue in 1 Cor. 9 is about putting the cause of the gospel above personal comfort and prosperity, rather than a call to be like the nations. Hope these are stimulating and helpful comments.